J.G. Wilkes, a.k.a. 0.5 of Glasgow's Optimo and Naum Gabo, throws down the first release under his own name; two starkly contrasting cuts backed with Barnt and Naum Gabo remixes. 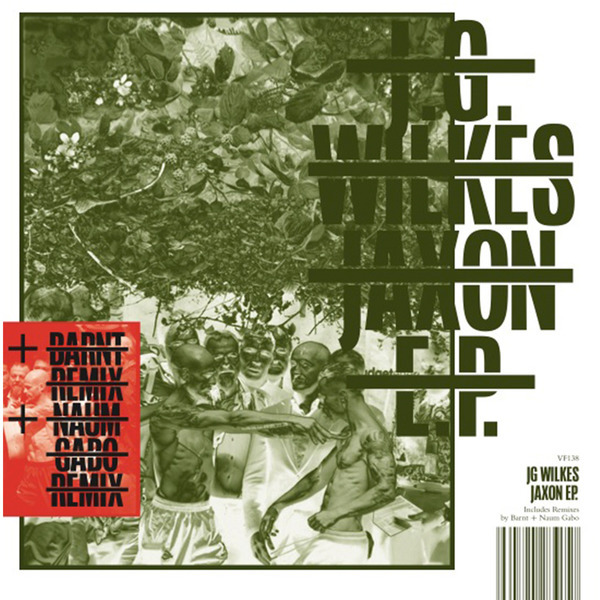 The grubbing, awkward, nee wave machine funk of Jaxon is maybe best compared with the styles of Trevor Jackson's Format album, and provide a crisp contrast with the silty-filtered ambience of Bathing Beauty for the dreamers. Barnt gives a gaily folkwise rerub of Jaxon that sounds like Roedelius with a regular kickdrum, and Wilkes' own Naum Gabo duo with James Savage boot Useful Tool into Italo disco techno orbit.